Magyar Légierő,(Hungarian Air Force), after the end of second World War, felt under the Soviet influence, and this led to the estabilishment of a Soviet made flight fleet, equipped with MiG and Sukhoi. 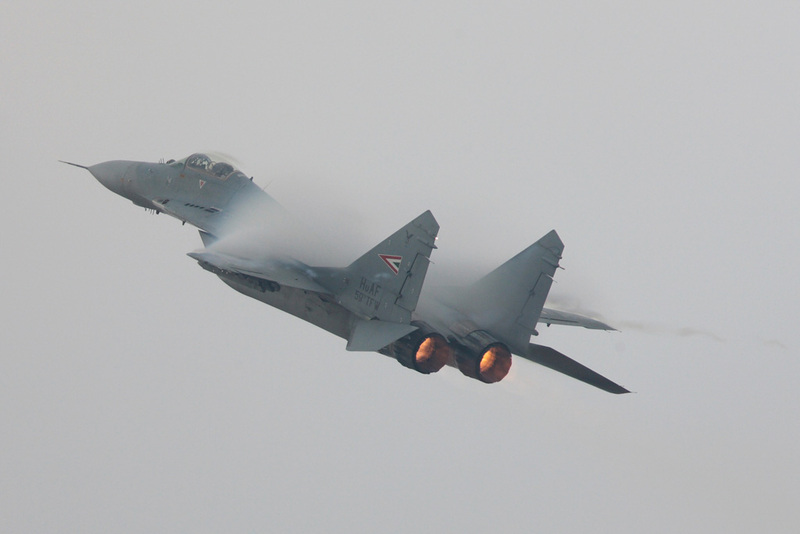 On 1993, as refunding for the occupation years, the Russians gave to HUNAF 28 MiG 29, and this represented a huge step forward in terms of capabilites, if compared with the old MiG 21, MiG 23 and Su 22, that equipped until that time the Hungarian fleet. 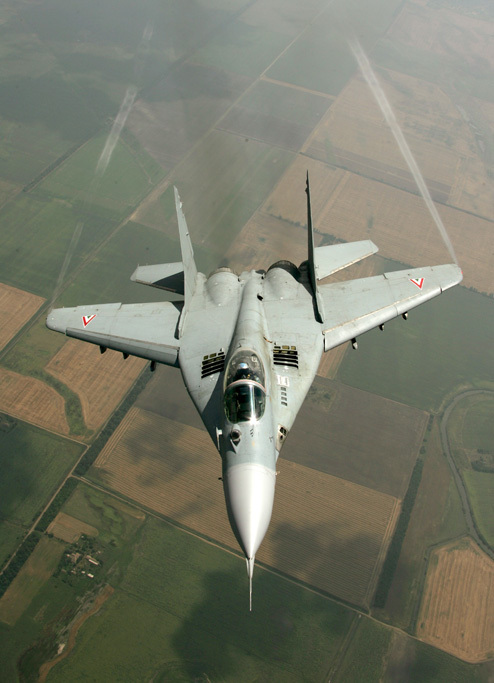 Due to the existing missinformation the MiG 29 was a fighter jet often understimated in the West. 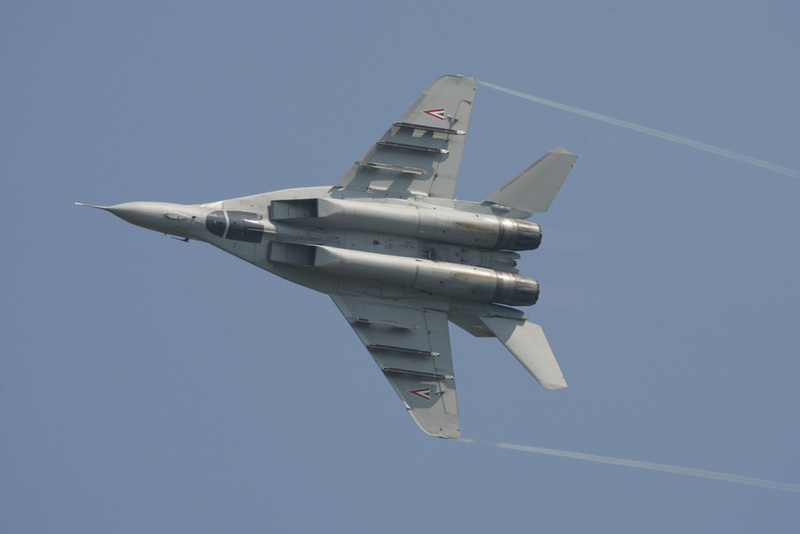 The reason for that was the aim to make it appear inferior to Western jets, and because it was created under a completely different philosophy from the occidental one, but it was a very versatile jet. 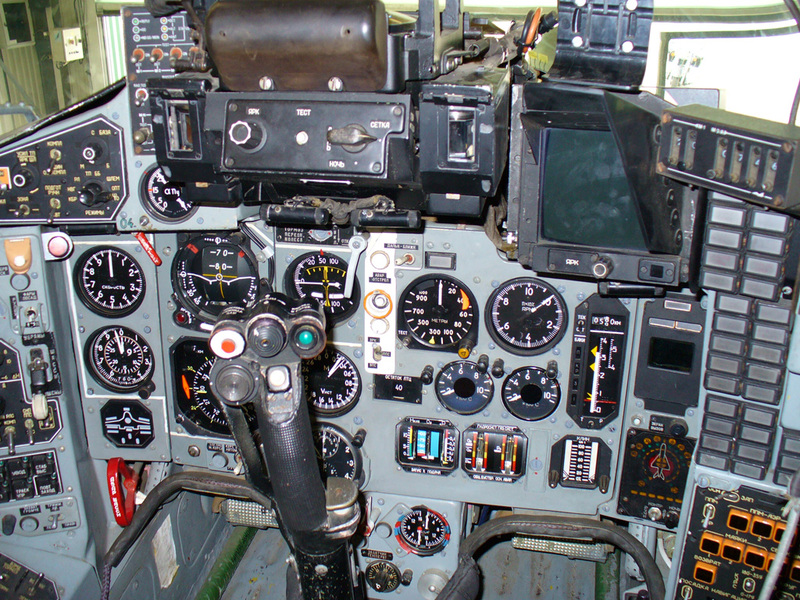 With the collapse of Soviet Union and Warsaw Pact, gradually all the former member countries of the Russian alliance became members of NATO, and the lack of systems such as IFF and Link-16 made the interoperability with the other Western jets difficult, and consequentely the participation to COMAO (COmposite Air Operations), that are the base of NATO doctrine. 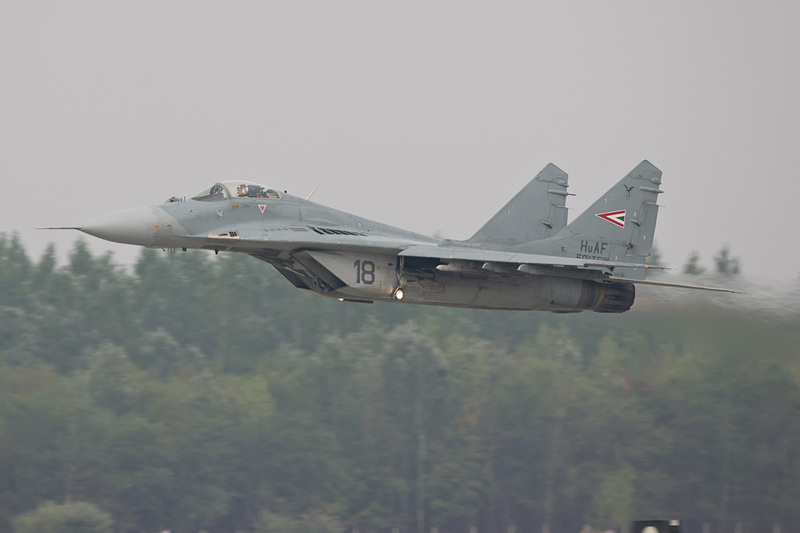 Poland decided to up-grade its MiG 29 fleet, while Hungary, Czech republic, Germany, Romania, and in the next future, even Bulgaria and Slovakia, decided to replace their MiG 29 with Western products, if possible cheap, and the fighter jet that excelled in the choice of several Countries, was the Swedish SAAB JAS 39 Gripen. Nowadays Magyar Légierő is smaller than in the past, equipped with only one Squadron, the 1. Vadàszrepülő Szàzad “Puma”, part of MH 59. 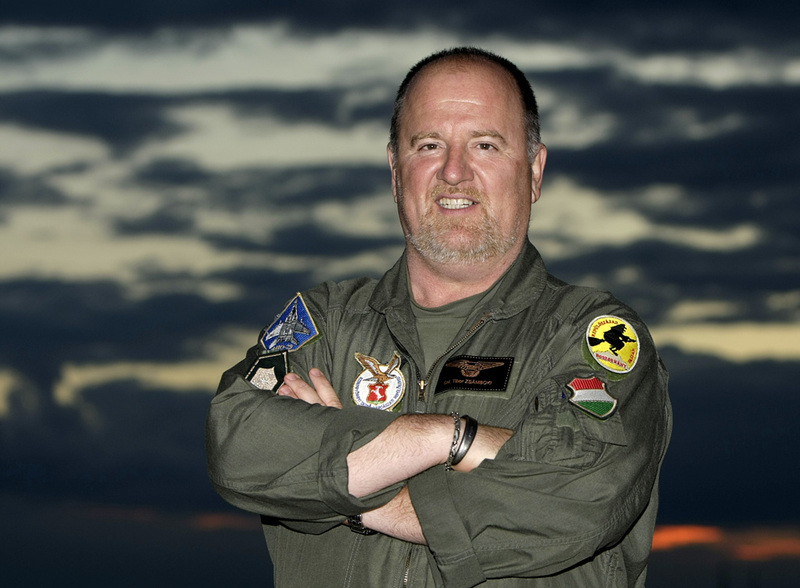 (59th Tactical Fighter Wing), based in Kecskèmet, but more capable then in the past and well integrated in NATO. Hungary became member of Atlantic Alliance in 1999, and this led to a gradual modernization and reorganization. 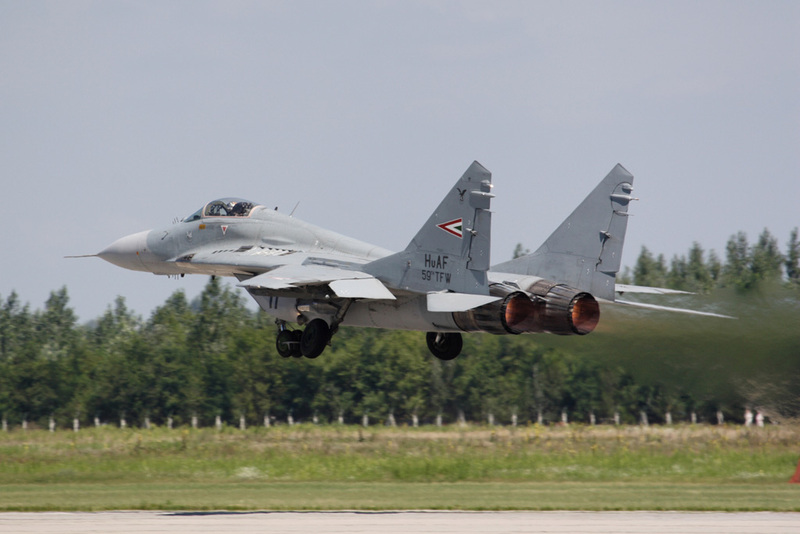 All the soviet-made MiG 21, MiG 23 and Su 22, even the Czechoslovak L-39, had been gradually withdraw from service, keeping only two Fighter groups, Puma and Dongo, both equipped with the MiG 29 and based in Kecskemèt. 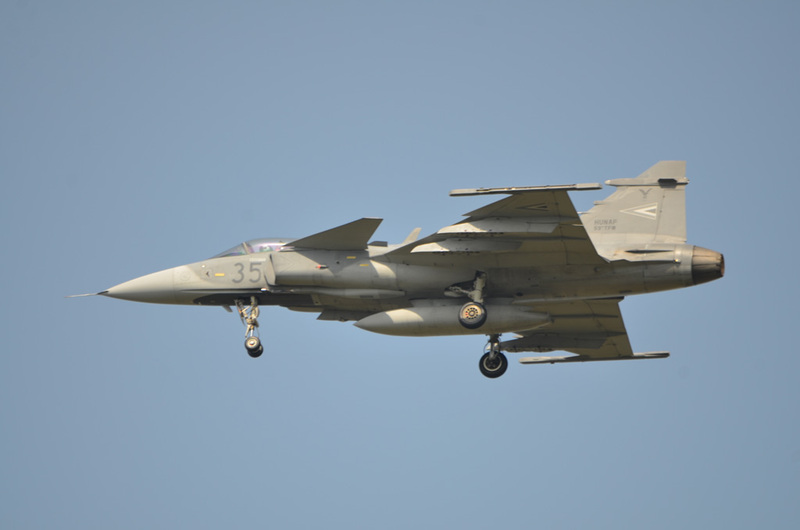 In 2001 Hungary began the deal with SAAB for the leasing of 14 JAS 39C/D Gripens, and the first delivery arrived in 2006. This led even to a re-organization of the path of pilots from the Academy till the Unit. 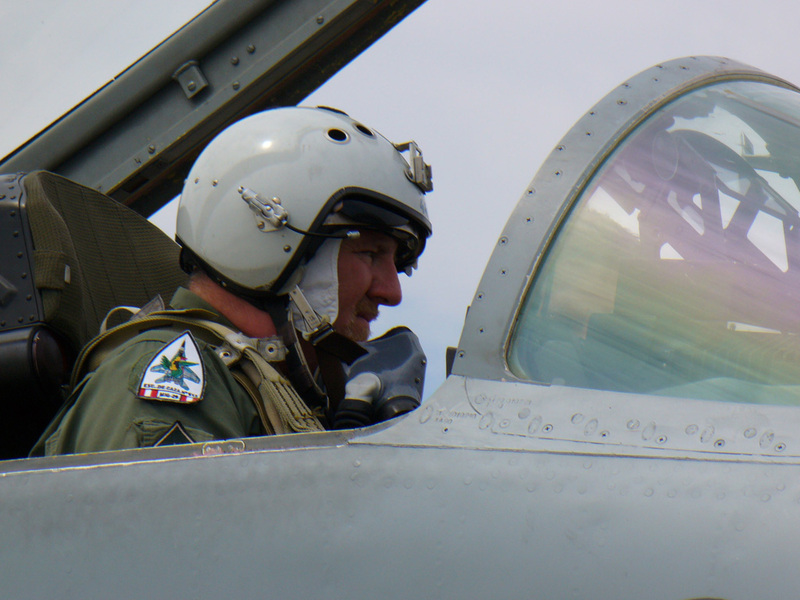 In 2001 Hungarian Air Force signed a contract with Canada for the training of new pilots till 2019. 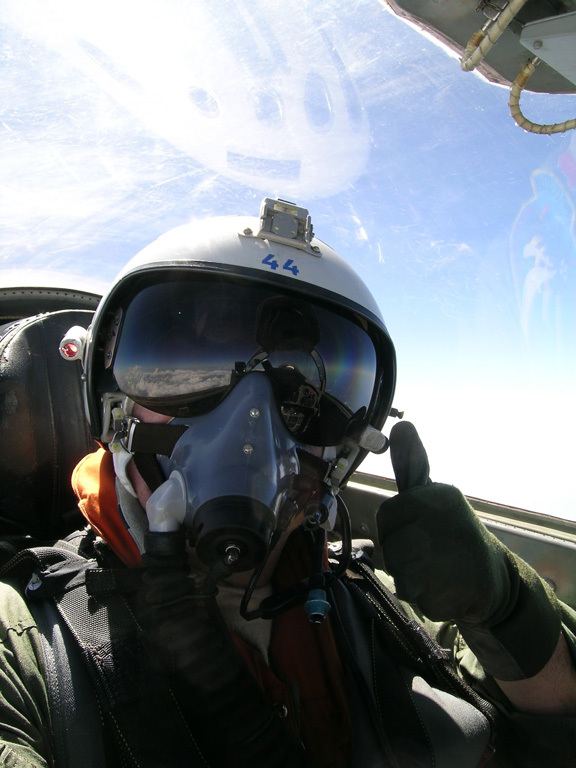 This program is structured in a first part, where pilots begin the basic flight with T-6, and the best cadet of the course pass to next step that consists of learning the military aspects of flight on the Hawk. The other cadets of the first step will be assigned to transport aircraft or to helicopter units. 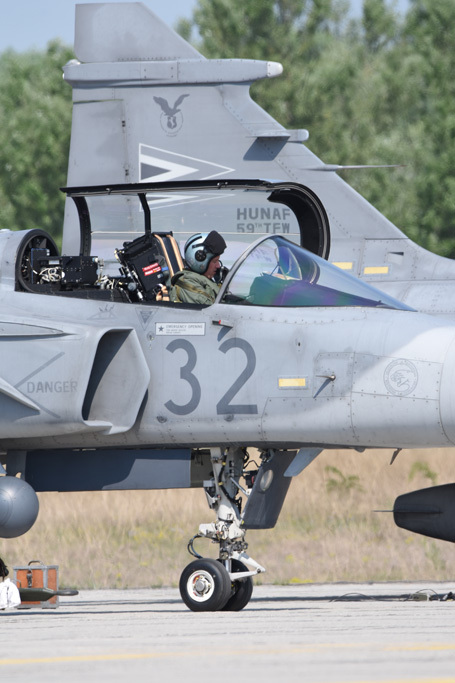 After around 100 hours on the Hawk, the pilot completes his conversion training in Sweden, flying the Gripen for three months, and later he will be assigned to Puma Squadron in Kecskemèt. 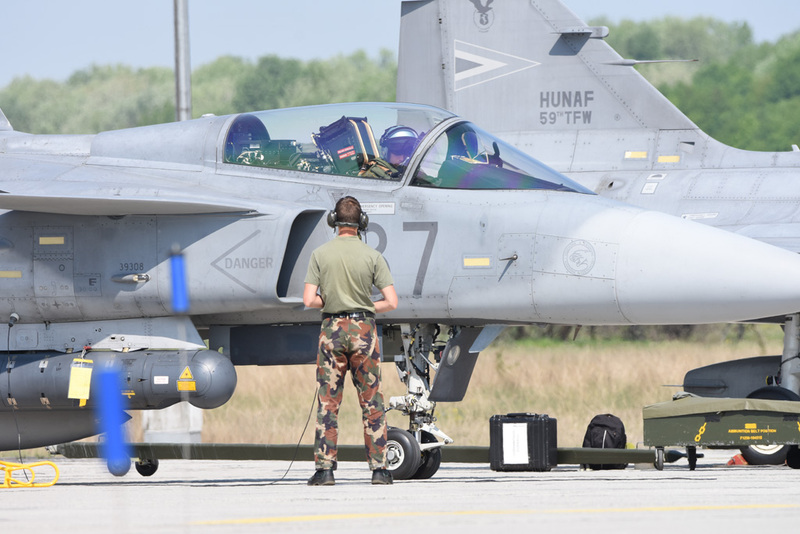 The main role of Hungarian Gripens is the air defence, and the pilots are always under training to be ready for the QRA. A secondary role is air-to-ground attack, in particular CAS (Close Air Support). 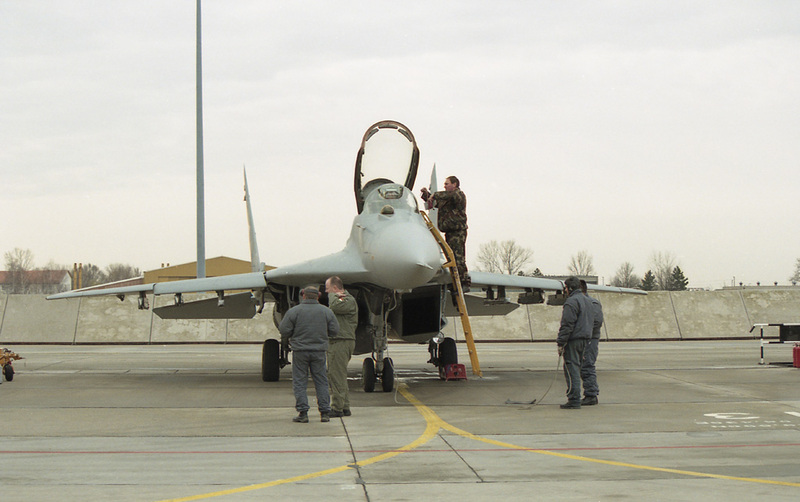 Since Hungary ishas been a NATO member, its air force has to follow NATO operational rules, so they have to be combat ready not only in air-to-air but even in air-to-ground roles. 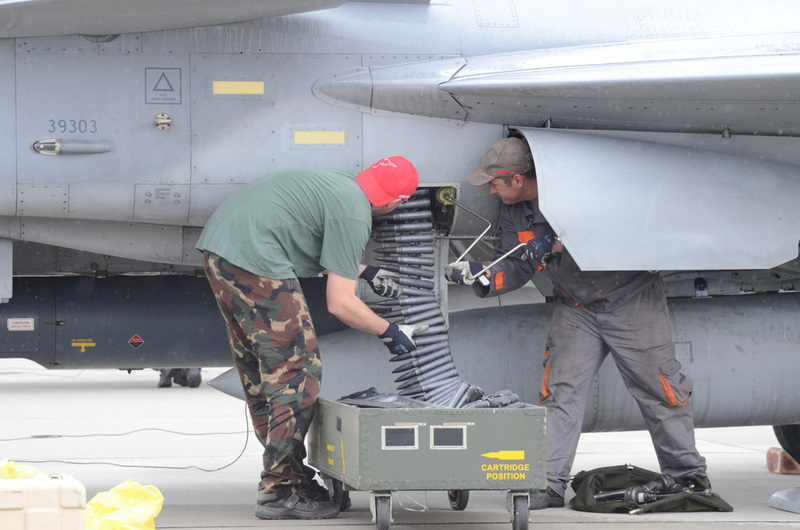 In terms of maintenance the Gripen represents a step forward. 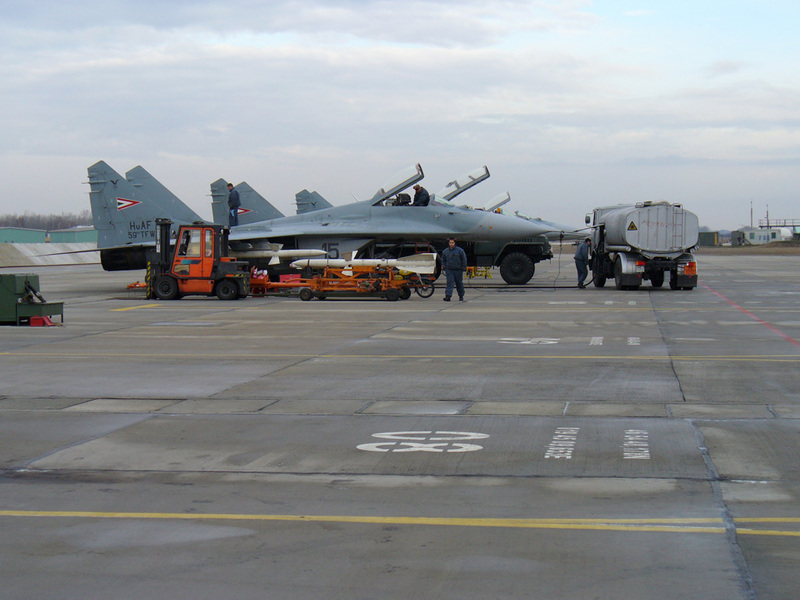 After the end of the alliance with Russia, the collaboration between the two Countries ended and this meant that even providing spare parts and technician training for the MiG was over. 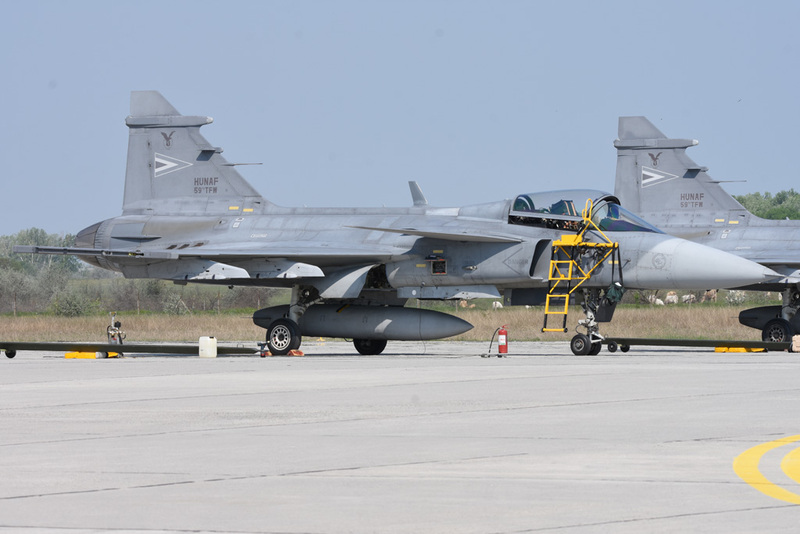 With the Gripen, the cooperation with swedish technicians is fully active and the training of Hugarian ground crews as well. 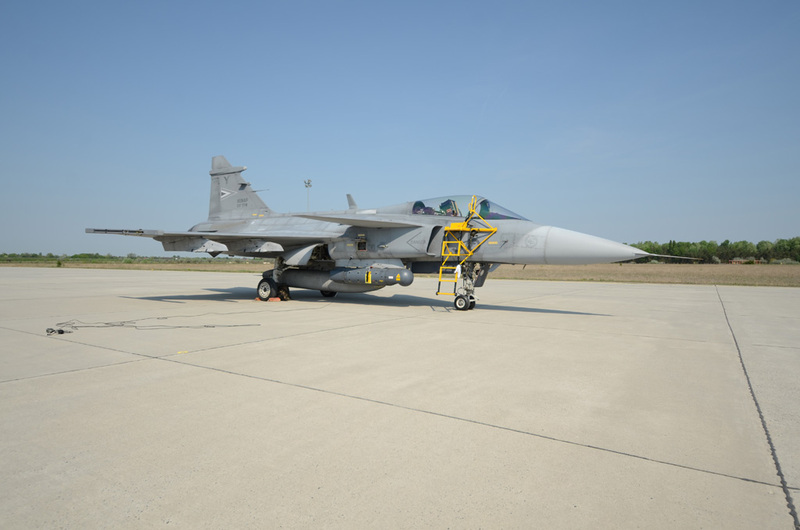 At MH 59. the aircraft is overhauled after 50 and 200 hours, with particularly attention to the engine, and after 800 hours it is sent to SAAB for deeper checks. 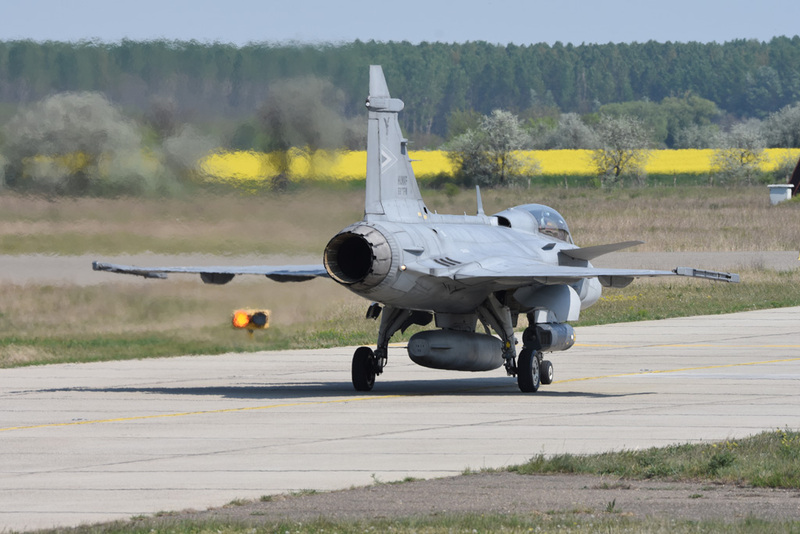 Differently from russian engines, the Gripen’s RM12 engine has a life of around 8-10.000 flight hours and as 1st Lt. Bàlint Földi explains, it can be replaced in only four hours. MH 59. maintains a QRA for its own airspace under NATO command. 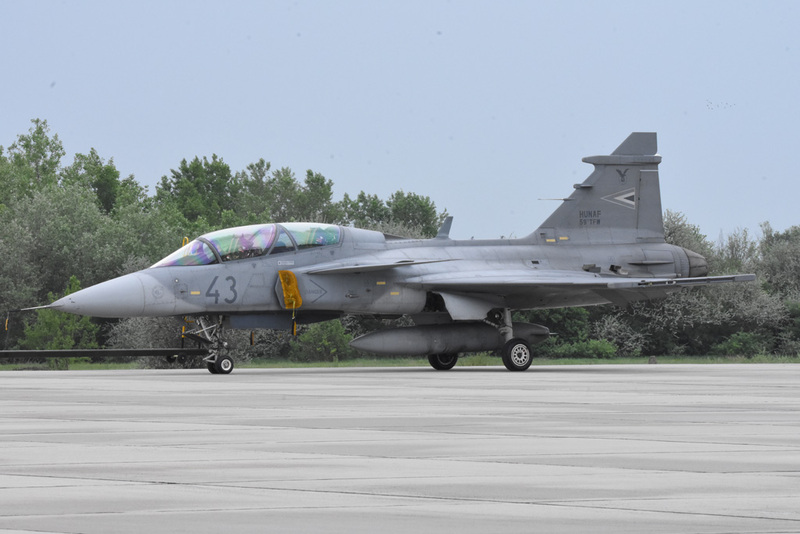 This responsability was expanded dramatically in 2015 when four Gripen aircraft had been deployed to Siauliai air base, in Lithuania, for the rotation of the Baltic Air Policing mission. This had been the most demanding mission of HunAF after the second World War. The first mission took place on 3rd September, and just on 15th September the Hungarian Gripen took off for the first “Alpha” scramble. One of the main pushes for this deployment was a live missile firing exercise in spring 2015 in Sweden. 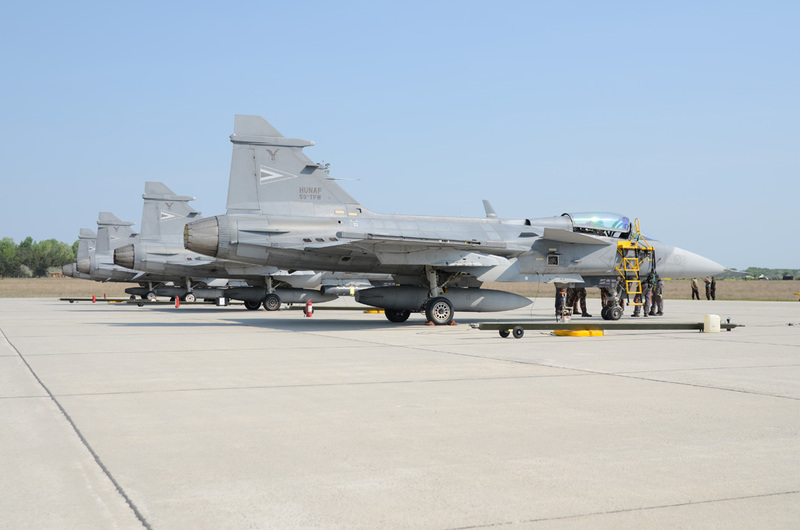 The deployment undertook daily “Tango” (Training) scrambles, as well as regular training flights with the Estonia-based Luftwaffe contingent. 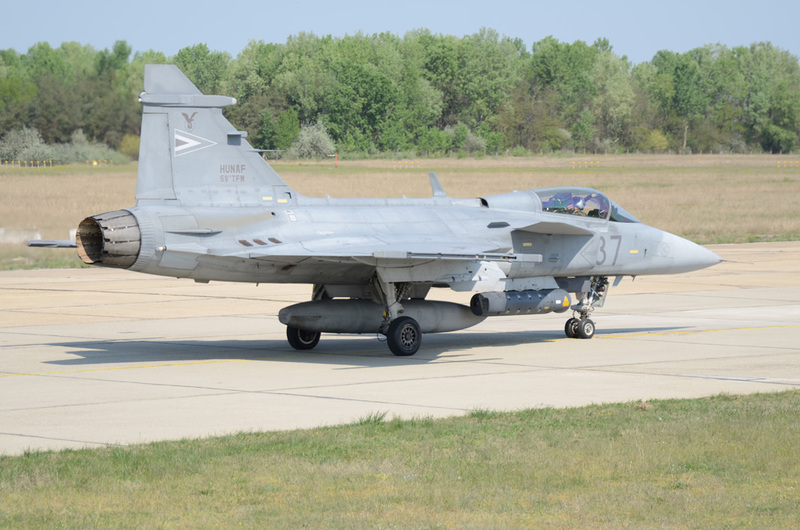 The mission in Lithuania was a big success for the Hungarian Air Force, proving that the high profesionally level of Hungarian pilots in QRA was the same of the other NATO allies. 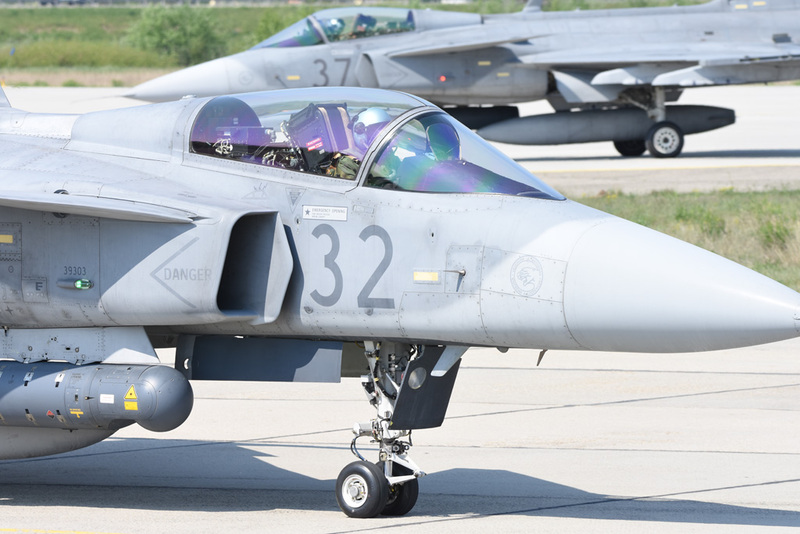 This experience allowed the Hungarian Air Force to be responsible even for the security of Slovenian air space, which is provided by Hungarian Gripens 24/7 . 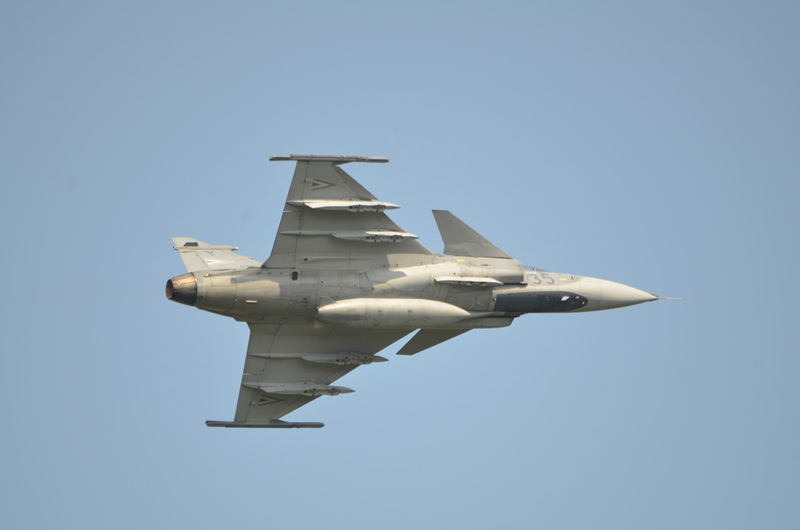 In conclusion, the Gripen proved to be the right choice for a small Country like Hungary, who was coming out from the Russian era. 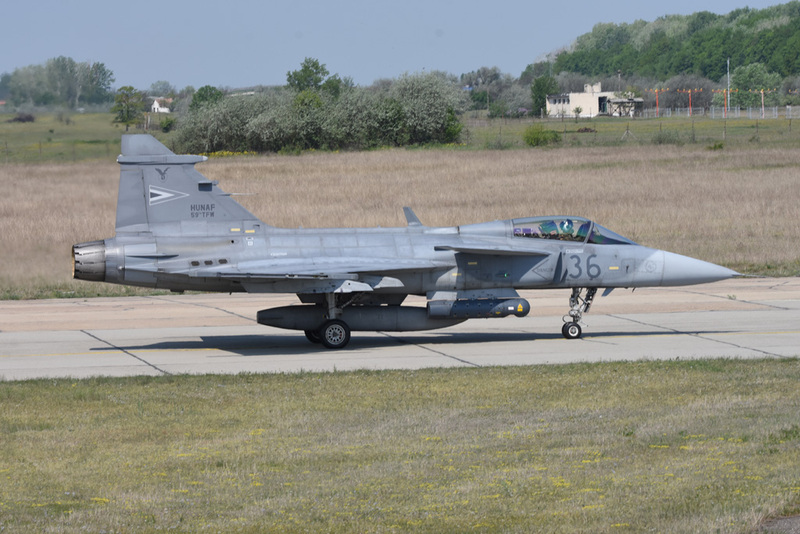 The Swedish aircraft is smart, reliable, cheap in terms of mainteinance and it allows the new Hungarian Air Force to perfectly operate in the NATO doctrine.